You’ve booked your Activity Passes to Epic Discovery, you’ve got your water bottle, your sunscreen, your close-toed shoes…now what? 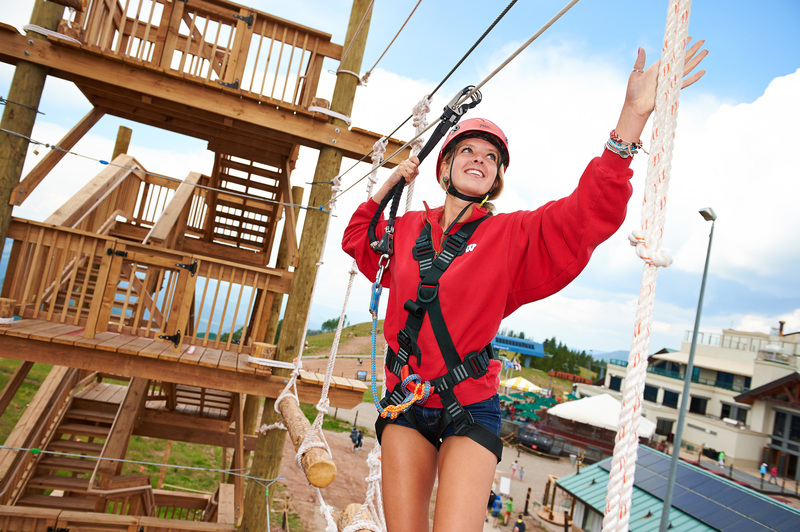 See our tips for making the most of your day at Epic Discovery at Adventure Ridge, from the best times to go, what to do when it starts to rain and how to skip the ticket lines. 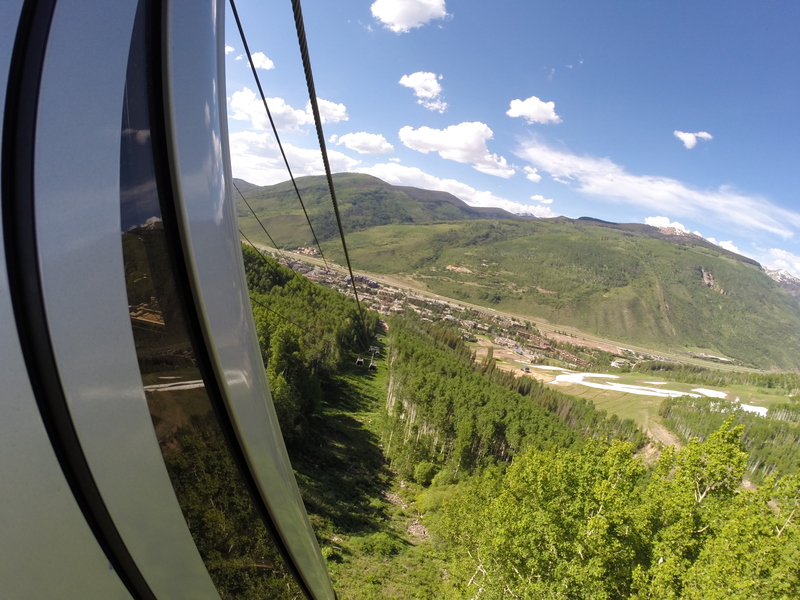 Skip the ticket office lines and get up on the mountain faster this summer. Buy your Activity Passes online in advance at vail.com, skip the line inside the regular ticket office by accessing the express ticket window outside the ticket office, grab your wristband and you’re on your way. Start your day off on the right foot and get your tickets in advance. Not sure what pass you want to get? Stop into the Lionshead or Vail Village ticket offices to speak to one of our knowledgeable Vail Mountain team members. Learn more about navigating the ticket office in summertime. Mountain preparedness will make or break even the nicest summer days on the mountain. Be aware, mountain weather changes quickly and there is usually at least a 10-degree temperature difference from the bottom to the top of the lifts. Bring a raincoat and also consider packing a light sweater, fleece layer and a pair of wind pants. All activities require close-toed, comfortable, sturdy shoes, such as hiking boots or tennis shoes. Shoes with heel straps such as Crocs, Chacos or Keens, are not permitted on any activities. There’s nothing worse than getting excited for an activity only to find you don’t meet the age, height or weight requirements. Know before you go! The Ultimate Adventure Pass is really the ultimate way to go, especially if you want to ride the Forest Flyer Alpine Coaster. It not only gets you a free scenic gondola ride, but it also gives you ALL-DAY, unlimited access to all the activities. Who wants a-la-carte when you have it ALL! Keep in mind while the Little Explorer pass is perfect for little kids, it does not include the Forest Flyer Alpine Coaster. Learn more about preparing for Epic Discovery at vail.com/epic-discovery. On busy weekends, Lionshead is sure to be bustling with activity-goers. Avoid the lines and get your passes online at Vail.com or in the Vail Village ticket office. 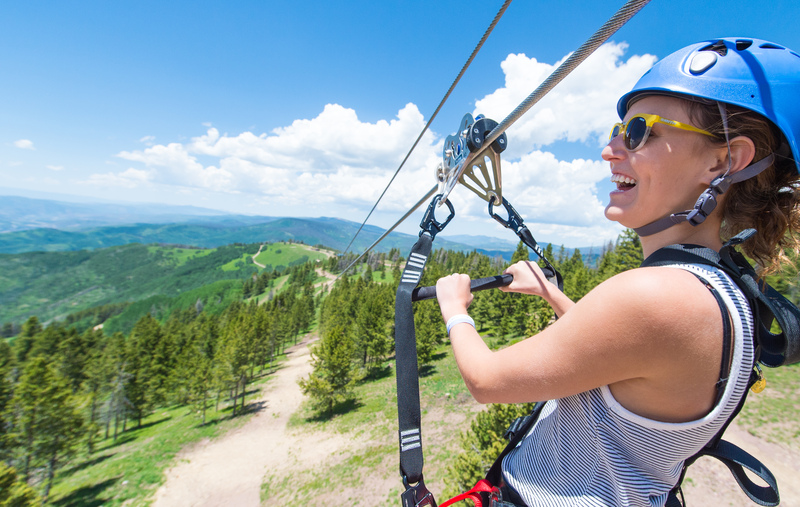 After you’ve secured your activity pass, you can take a short bus ride from Vail Village to Lionshead and access The Eagle Bahn Gondola to get to the top of Eagle’s Nest where Adventure Ridge and all Epic Discovery activities are located. 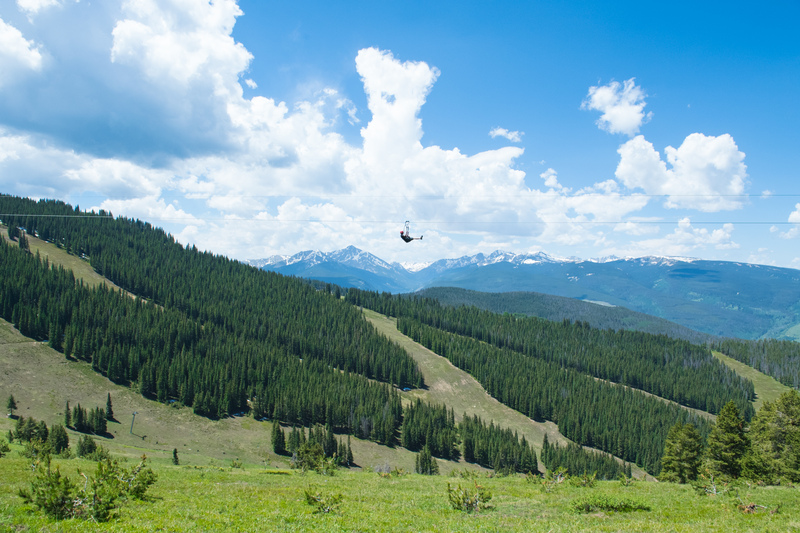 Or better yet, start off the day with a hike and take Gondola One from Vail Village and enjoy a leisurely 1-mile adventure along the Fireweed trail over to Eagle’s Nest. You’ll discover beautiful wildflowers and Epic Discovery Learn-Through-Play elements. You’ve made it to Eagle’s Nest, now you should beeline for the new Forrest Flyer alpine coaster, right? Not quite! 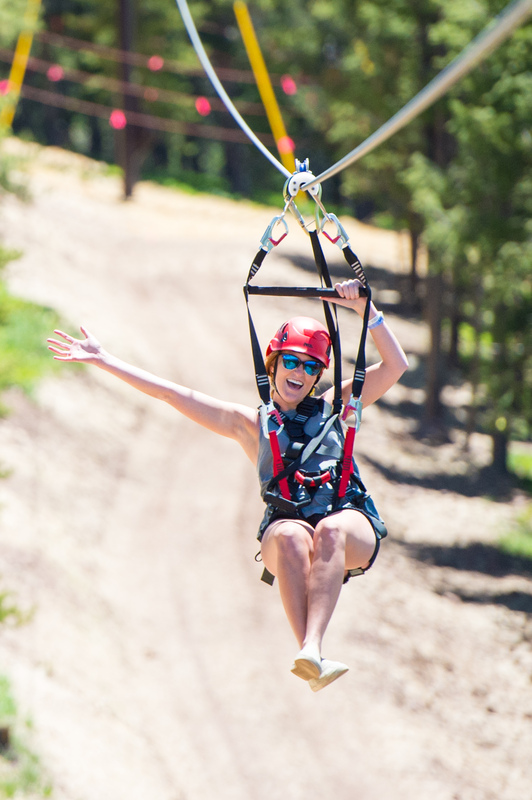 Your all-day activity pass gives you the opportunity to experience the coaster, so head for the Golden Eagle Zipline first. 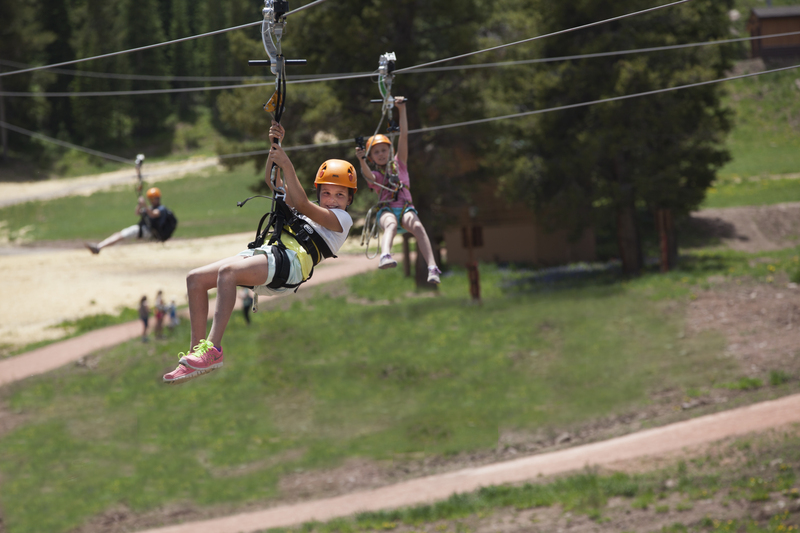 Lines at the zipline have a tendency to grow mid-day due to the popularity of the activity and the time it takes to harness up, so skip the line and cross this off your list first thing. Weather in the mountains is notorious for being inconsistent and shifting unexpectedly. Here’s our tips for handling all types of weather while at Epic Discovery. Overcast or Cloudy: Don’t hesitate if the sun’s not shining. That just means it’ll be nice and cool as you scramble through the ropes courses and work up a sweat running around the many activities. Drizzling Rain: Don’t call it a day just yet! Tubing hills and ziplines are rain-sensitive, but no other activities will shut down due to precipitation. So head for the ropes courses, the bungee tramp or the coaster to enjoy activities amidst the rain. Lighting: Head inside and wait for the storm to pass. Grab a bite to eat at Bistro 14, which offers fast-casual, family-friendly options, including a $10 kids menu. Gondolas and activities will close down during lighting due to safety concerns. Sunshine: Sunscreen is your best friend at 10,000 feet. Protect yourself from high elevation sun exposure and lather on the sunscreen, reapply and don’t forget a sun hat. Mountain vs. Village: Weather in Lionshead is not the same as weather in Eagle’s Nest. If it looks cloudy or overcast down at the base it might be sunny and bright up at Epic Discovery. Be prepared for anything. If you’ve bought your 2016-2017 Epic Pass, make sure to get your discounted rate on Epic Discovery Activities Passes. $17 off for the Ultimate Adventure Pass; $7 off for the Little Explorer Pass. Make your way to Epic Discovery on a quiet weekday. 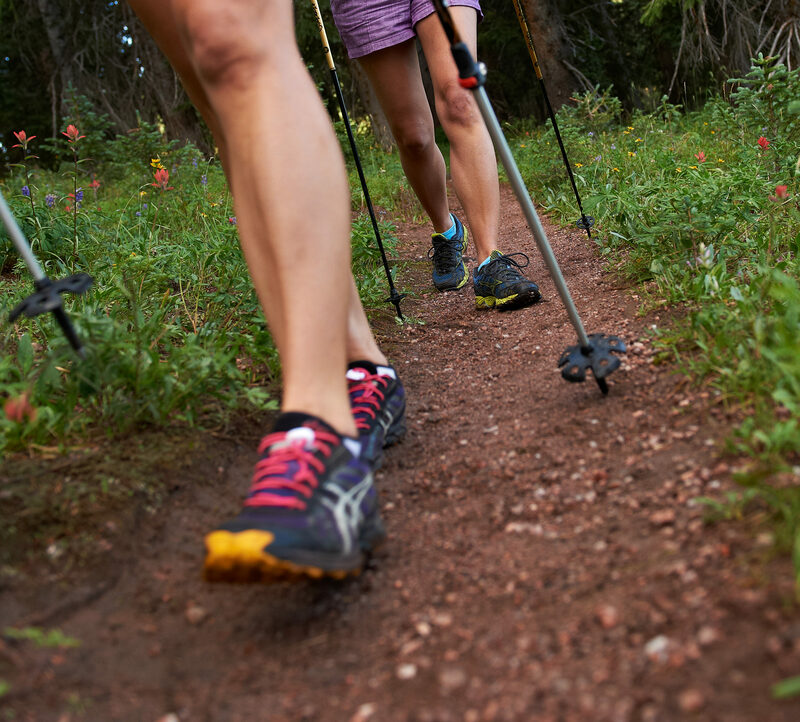 Save Vail’s awesome hiking and biking for Saturday and Sunday when weekend warriors flock to Eagle’s Nest. 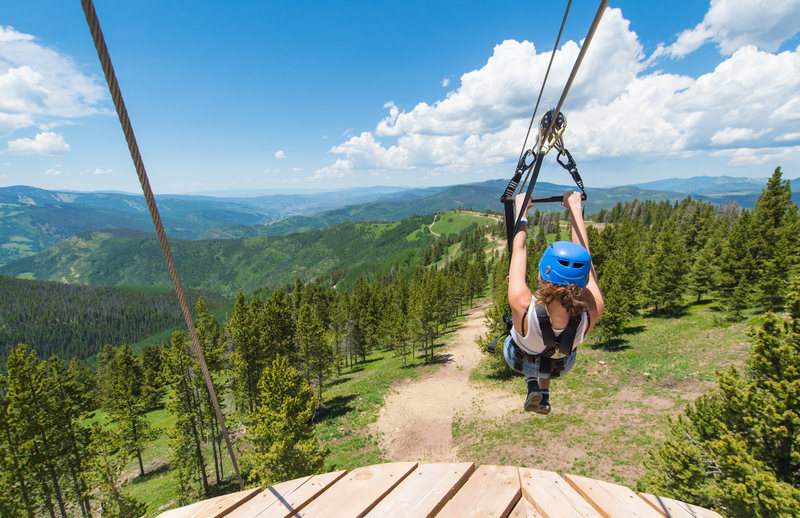 Explore the alpine canopy with this tour comprised of seven ziplines, up to 310 feet above the forest floor, spanning nearly 2 miles through Vail’s spectacular Game Creek Bowl. The 3-4 hour tour starts at Eagle’s Nest, dips down into Game Creek Bowl, and after a ride up Chair 7, will whisk you back to Eagle’s Nest. So where can you sign up for this exciting tour? It’s important to know that this tour must be booked in advance at the ticket office. It is in high demand and guides for each group much be arranged in advance. Call 970-SKI-VAIL (970-754-8245) or drop by the ticket office in person to reserve your tour. But trust us: this is one experience you will never forget.